Farmers in Malawi grow most of their grain in the upland during the rainy season. In addition to irrigation, this year we are working with farmers to ensure food security by providing a loan for farm inputs such as fertilizer and quality seeds. 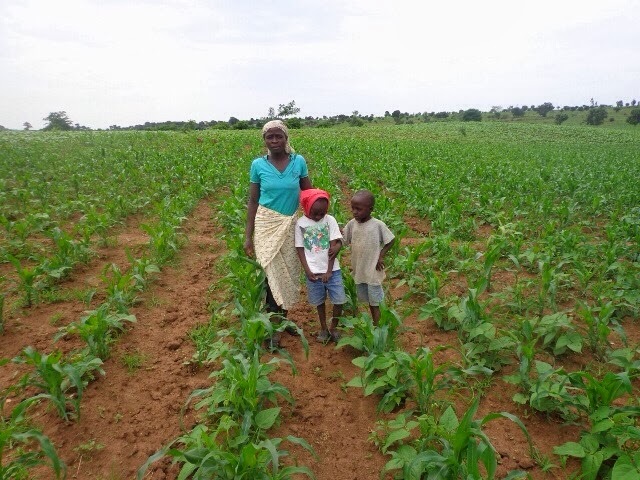 We are coaching them on good techniques and timely application of fertilizer, while monitoring their progress. The potential impact of this project is huge. If the 13 members of the club are successful they will harvest approximatley 1.5 metric tonnes (3,300 lbs.) of corn, per person. That is enough food to feed 5 people for a year. The club as a whole will produce nearly 50,000 meals during the rainy season at an average cost of less than US$0.03 per meal. Of course, you can't eat just corn flour all year. Nutritional balance is provided by fruit, vegetables, tubers, and legumes, grown in the irrigated gardens. The occasional goat, pig, or chicken keeps things interesting.